This grand old toad was hiding under the golf cart one day this month. 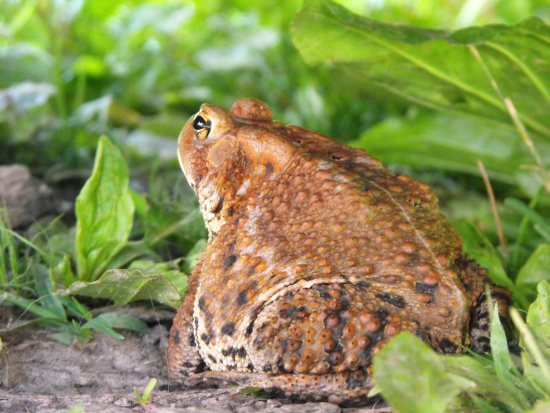 As I tempted her toward safety, I could nearly hear the toad admonishing me. "What's the big rush? Slow down! Smell the flowers!" Well, did you slow down and smell the flowers? How did you know the toad was a she? Glad you had a good time at the solstice. You really are spiritual and one of these days you will come to admit it! I did slow down...eventually. I'm guessing that the toad is a girl based on her size --- the big ones tend to be female.